Causes. The most common cause of chronic knee pain and disability is arthritis. However, if your job involves manual labor, your daily activities could cause a specific injury to your knee(s) or cause damage to your knees over time. Surgery. A total knee replacement replaces the entire joint, while a partial knee replacement replaces only the damaged area. While a partial replacement can be done with minimally invasive surgery and has a speedier recovery time, only about 6 to 10 percent of patients are suitable candidates for this operation. Partial knee replacements work best where damage to the knees is only in a small area. Procedure. 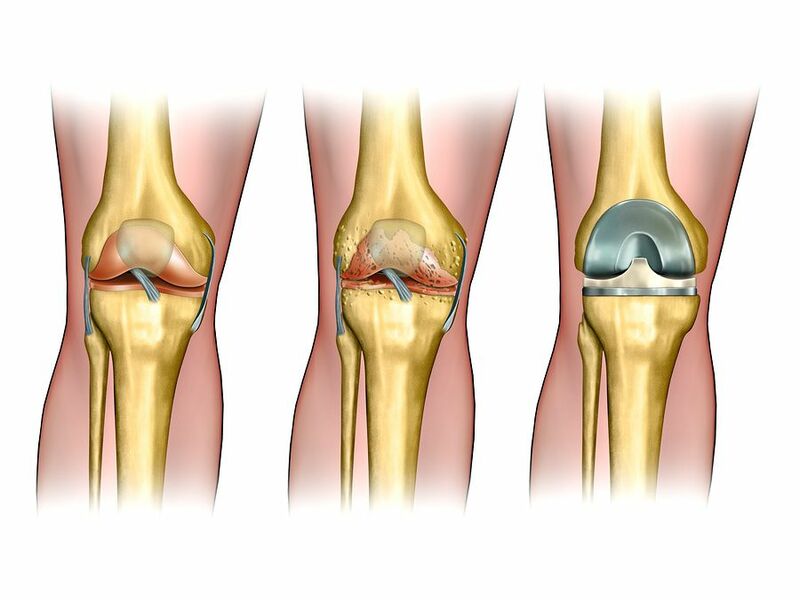 In knee replacement (also called knee arthroplasty), only the surface of the bones are actually replaced. The surgeon cuts away damaged bone, cartilage, and one ligament. The damaged tissue is replaced with an artificial joint made of cobalt, chrome, or titanium and a plastic compound called polyethylene. Cost. Those with a desk job may be able to return to work within a few weeks. However, if your job involves heavy labor, you may be out for several months. Medical care and time away from work can be costly; a knee replacement surgery can run from $25,000 to $50,000 depending on the type of procedure needed. The law can also be tricky; these reasons are why it is important to have someone in-the-know on your side. If you or someone you love has been injured at work or due to an accident, it is vital that you know your rights. Manfred F. Ricciardelli has over twenty years of experience in workers’ compensation and is dedicated to helping you get the treatment you need and deserve. Mr. Ricciardelli will help you determine if you have a case worth pursuing, and from there help you build your case. We invite you to come in for a free consultation to talk about your case and legal options. Focus on your recovery and we will take care of the rest; to get started, call (973) 285-1100 or fill out our online contact form today. Thank you for this article, this helps a lot. To know more about Knee Replacement Surgery and its management, click here . You may also explore our website, The Knee Pain Guru to know more about knee pain management.